Have you seen Walt Disney’s The Lion King? One of my favorite scenes is when the witch, Rafiki, presents the newborn cub, Simba, to the gods while Simba’s parents beam with pride. That scene is what inspired a baby blessing I created. In my work as a ritualist, I create rituals to help individuals, couples, families, and communities navigate rites of passage – weddings, new home blessings, baby blessings, as well as funerals, memorial services, and other milestones along the way. Most of the people who work with me are not members of a church. That no longer presents an obstacle for couples getting married since there are several legal alternatives for someone to perform the ceremony. Couples might choose a justice of the peace, a generic officiant, or a specialist in family and community rituals – a Life-Cycle Celebrant. That’s what I am. Not being a member of a church or other organized spiritual community can present a challenge when the couple has a baby. While having a party to celebrate the new member of the family is a good idea, what I think the new parents and grandparents want, whether they name it as such or not, is a ritual. What is a ritual? I think of ritual as a visible act performed with invisible intent. If you find yourself in that situation, you’ll ask: What kind of ritual? Who will perform it? What will I need? Where should we have it? How much will it cost? These are key questions, not unlike the questions the new parents probably asked when planning their wedding. The unspoken question might be: Will having a baby blessing ritual make any difference? Of course, the answer is subjective. That said, I’ve watched new parents as they gaze at their baby. Their looks run the gamut from joyful, contemplative, bewildered, fearful, fiercely protective, always filled with love. I imagine the parents are having a daydream about the future and their DNA will manifest. The parents want to develop the skills they don’t yet have, and perfect the best of who they already are. The new parents want to ensure their child’s future health and happiness. Ritual creates a container for all those feelings and a way to transform them into keepsake memories. The need for ritual is ancient. I remember the baby blessing scene from the Walt Disney movie Sleeping Beauty. Family, friends, and fairy godmothers all gathered to present gifts to baby Aurora. In both Sleeping Beauty and The Lion King, we see and feel the importance of the baby’s birth not only to the parents but also to the community. Centuries ago, it was easy to see how the survival of a community depended on couples’ getting married. Their commitment to each other lent stability to the entire village, where every path led to the home of a friend. Marriage assured the community that in time, meaning when the couple had children, there would be more tailors, more threshers, more blacksmiths, beekeepers, bakers, shoemakers, and sailors …more parts to make a whole. Yes, times have changed. Our communities need different skills. What hasn’t changed is the need for love expressed in the kind of commitment that grows a family. When each new member of the family arrives, the parents, the grandparents, the whole community wants to – needs to – celebrate. Let me share a story with you. It’s a true story and I’m telling it with the permission. Picture a young couple standing on the grass in front of a sturdy house built decades ago. With a little flower garden, a small stretch of stone wall, and a huge tree, the home feels warm and welcoming. It’s a warm August afternoon in a small, rural town on the Connecticut shore. A gentle breeze wafts from the lake across the road. The new mom is holding a baby, a few months old. The new dad is helping giggling nieces and nephews climb into the folding chairs set beneath the tree. Family and friends are taking their seats, too. Three years earlier, Karla Garbe and Anthony Girardi got married at the Preston Vineyard in Preston, CT. I was their officiant. In creating their ceremony, I looked for a way to show the value each placed on family because that is where we first learn about love. Yes, family is important to both Anthony and Karla. There are traditions to be carried on: making jarred foods, making wine, and gathering for family dinners on Sunday. In time, they’ll add their own traditions to the legacy. Three years ago, your love for Karla and Anthony called you to a vineyard. Every place carries its own kind of energy. A vineyard in harvest season validates hard work, honors fertility, and invites celebration. The home that a couple makes for their child has its own kind of energy, too. A home built with love is the best place to celebrate the birth of a child. Today, we’ve gathered with Karla and Anthony to celebrate the birth of their son, Anthony Jr. If you’re creating a baby blessing, look for a way to connect the past with the present. Here’s a little more from the baby blessing. Thanks to Ancestry.com, the study of genealogy has sparked an interest in family trees, the likes of which the world has never seen. We hear stories about those who came before us and take delight in thinking that we, too, might share a certain trait or talent. When we have an old photograph, we look in the mirror and smile to see the same shape of the face, the same set of the eyes. When we have access to official records, we see courage in the log of shipboard passage, gratitude in the date of citizenship, love in the recording of a marriage, joy in the number of offspring, honor in the preservation of a family name. Through these details, sometimes no more than a line in a census report, we realize just how much history is held in a family tree, and just how deep the roots can grow. We realize that if not for our ancestors, we would not be here today. As Baby Anthony graces the branch of his family tree, we remember those whose who are no longer with us. We remember Anthony’s grandparents: Giuseppe and Giulia Girardi. Though Anthony was too young to have known them, he grew up inspired by the stories of how they came to this country with nothing, worked hard, raised four children…stories about Giuseppe’s “tough love” and about Giulia’s late nights cooking and sewing so her family would be taken care of. We remember Anthony’s grandfather, Vincenzo Napolitano, a man who delighted in making others laugh, a man who embodied peace and security. Anthony remembers being a very little boy, slipping out of his crib at night, sneaking down the stairs to his grandfather’s room and falling asleep by his side. Because Vincenzo adored Karla, Anthony is certain his grandfather was smiling on them on their wedding day…and smiling even more today. We remember Karla’s grandfather Robert Garbe who left us last year. He was stubborn, intelligent, and loved to tell jokes. When he was very sick in the hospital, he was still telling jokes to all the nurses and doctors who would enter his room. He even carried around a little notepad with jokes written down. He made the best potato pancakes and pigs-in-a-blanket – and he had a huge sweet tooth. He was an animal lover and Karla remembers him routinely leaving family get-togethers so he could go home and feed his cats. For those guests who were not members of the family, knowing details about the generations who came before the new parents added texture to the celebration and deepened the meaning of family. a bird’s nest made of grapevine, about 8 inches in diameter. I cut a circle of brown paper, about 2 inches in diameter, affixed to the bottom of the nest with a little clear glue. On top of the paper, I placed just enough dried moss to cover the paper. a container of assorted dried moss. I had several shades of green and brown, and bits of other colors. How much moss you’ll need depends on how many grandparents, or other significant elders, will “soften” the nest during the ritual. a pair of stone owls to represent the parents and a little stone owlet to represent the baby. My friend Carol Chaput is a fine artist by profession. She painted three stones to resemble the little family. A home is the haven of the heart. This nest symbolizes the home that Karla and Anthony have built. Later in the ceremony, they’ll each place a representation of an owl, symbol of wisdom, in this nest. They’ll also nestle this owlet. Before the baby is tucked into his nest, I’m going to pass it among you. I invite each of you to hold it for a moment and imbue it with your love. At that point I walked over to the grandmother sitting in the front row on the right aisle. The other grandmother sat in the front row on the left aisle. I spoke with both of them prior to the ceremony so they would know what to expect. The plan was for me to give the owlet to one grandmother. She would hold it a moment and then send it on its way among the guests on her side of the aisle. The owlet would then cross the aisle, be passed forward, and complete its journey in the hands of the other grandmother. Warming the Owlet can take a while. People liked holding the little stone. So while the owlet was being imbued with the love of each guest, the groom and his father read alternating portions of a special poem. Here’s how I introduced it. Every dad looks at his baby boy and imagines what he’ll be like when he’s all grown up and becomes, in the words of the poem, “just like me.” Knowing both the joys and the struggles that await, the dad doesn’t want his son to grow up too fast. That’s the sentiment expressed in the poem called “Tadpole” by Kermit the Frog. Anthony and his father, Giorgio, will share it with us now. For copyright reasons, I’m not including the poem here but you can easily find it online. It’s one of the many treasures the late Jim Henson gave the world. If you’re thinking about including the poem in a baby blessing, be sure those who will read it get to see it in advance. The words are simple. The emotions they evoke are profound. As Anthony and his dad read the poem, they weren’t the only ones wiping a tear. Not only does baby Anthony have the great good fortune to have the love of his parents, but also the love of two more generations. Grandparents and Great-Grandparents are the people who pass on the stories and traditions that become the family’s heritage. New relationships to a family bring new stories and new traditions. That richness is represented by the moss in this nest. I invite baby Anthony’s “grands” to come up and add a bit more moss to soften the nest. I called the grandparents and the great-grandmother by name and asked them to join me. Each came up, took a bit of moss from the container and carefully tucked it into the empty nest. If the grandparents are comfortable with the idea, invite each of them to give a blessing or make a wish for the baby. The most important job in the world is being a parent. Karla and Anthony, you have a huge responsibility, not only to Baby Anthony but also to yourselves, your families, your neighborhood, your schools, your community. It’s true… as your child grows, so do your responsibilities. You’ll teach him how to play peek-a-boo, how to walk and how to hold a spoon. You’ll teach him numbers and colors and the words: dog, cat, bird, bug…and so many more. You’ll teach him how to splash in a puddle, build a sand castle, jump in a pile of leaves, make a snowman, blow out the candles. You’ll teach him “please” and “thank you” and set rules and boundaries to keep him safe. You’ll teach him how to eat an ear of corn, tell time, tie a shoelace, ride a bike, swing a bat, kick a ball, play a guitar. You’ll teach him how to shave. You’ll teach him how to dance with a girl. You’ll teach him how to think and do for himself, so that when the day comes that he leaves the nest, you’ll know he can fly on his own. Give him the self-esteem that comes from always seeing his father in love with his mother. Karla and Anthony, please show your acceptance of your new roles by placing the parent owls in the nest and saying a few words about your hopes for your child’s future. Remember that ritual is a visible act performed with invisible intent. Three years earlier, I had married this couple. I knew how much they dreamed of having a family. Just as they made vows to each other during their wedding ceremony, each now made a vow to Baby Anthony and placed a parent owl in the nest. As part of their wedding ceremony, Karla and Anthony included a handfasting ritual with a custom cord I made in their colors. The cords I make are nine feet long. I remind my couples that after they’ve tied the knot in the ceremony, they have enough cord to tie additional knots to mark future anniversaries and baby blessings. Over the years, Karla and Anthony had kept their handfasting cord in a safe place and now it sat on the little table next to the nest where the two parent owls snuggled in the moss. This knot is the visible evidence of the binding of your hearts. Today, you make another knot in the cord, this time binding three hearts. I handed the cord to Anthony and said: You’ve accepted your responsibilities as parents, you have professed your love for your child and your hopes for his future. I now ask you, what first name have you given this child? I said, “Anthony means one who loves to sing and can charm people with his music. The name also corresponds energetically to moss green agate. What middle name do you give this child? I responded: Francesco means one is strong, humorous, and a natural peacemaker. What surname do you give this child? The new father said: We give you the name, Girardi. May it stand for your heritage. The new mother said: We give you the name, Girardi. May it honor your children, as well. Now the cord has knots for the marriage and the baby. While I was asking the questions, the new mom held the baby and the new dad loosely wrapped the satin cord around the baby. Now, the new dad gently slipped the cord off his son and tied a small knot next to the big marriage knot. He placed the cord on the table. Today we have recognized many important relationships: between grandparents and grandchildren; mother and child; father and son. We now recognize one more relationship – that between a child and his community, represented by everyone here. The plan was for the second grandmother to come forward with the owlet and place it in the nest. But often happens in life, things don’t always go as planned. It was only now I noticed that sometime during the ceremony the grandmother had moved over one chair, giving the aisle seat to a boy about four years old. He sat without squirm or fidget, his hands in his lap, fisted together in a tight, protective ball. The grandmother and I exchanged knowing looks. With a note of reverence, I walked over to the boy and asked, “Does the baby owl rest with you?” Eyes wide, he nodded. “Then you have the biggest job, the most important honor, of the day. You need to bring the owlet to the nest where its mommy and daddy are waiting. Can you do it?” Again, he nodded. He had to wiggle to get off the chair while still clutching the stone. I offered to hold it for him. “I can do it,” he said. And he did. Slowly, with the solemnity of a processional down the aisle of a cathedral, the little boy walked up to the nest. “Go ahead,” I whispered. Ever so gently, he placed the owlet in the nest next to its parents. His Aunt Karla beamed down at him. His Uncle Anthony patted him on the shoulder. The boy walked back to his seat, easily a foot taller! We’re at the end of the ceremony now. We’ve honored the ancestors. The new father and grandfather read The Tadpole. The grandparents softened the nest. The new parents made vows to their son, tied a new knot in the handfasting cord, and honored his name. The owlet, warmed with the love of everyone present, has been tucked into the soft moss and the safety of the parents. Here’s how I closed the ceremony. We came today to welcome a child, to recognize a family, to acknowledge our responsibility to the next generation. We have achieved this and more. We are blessed by the spirit of joy here today, the intertwined lives of family and friends, and the love and support for this child and his parents. Baby Anthony, may you be a light for yourself and others. May your heart always point you towards truth. May you become the person you are inside, realizing your own hopes and dreams. and may the sweet light within you guide you on your way. Friends and Family, I am honored to present to you: Anthony Francesco Girardi, Jr.
With joyful noise, applause, and a few tears, the ceremony was over. Rituals keep us oriented to the natural world and can connect us to our ancestors. That’s what this Baby Blessing ritual was all about. If you or someone you know is pregnant, or adopting a child, or you have a child but haven’t yet gathered friends and family for an official celebration, please consider this ritual. The impact can be just as powerful as that moment in The Lion King. I’d love to hear about your baby blessings. Please share your comments here. Or join the conversation on Facebook.com/MoonRiverRituals. It’s like sharing a recipe. If you like the Ritual Recipes podcast, please subscribe. That way, you won't miss an episode and it will help others find the show. Thanks. 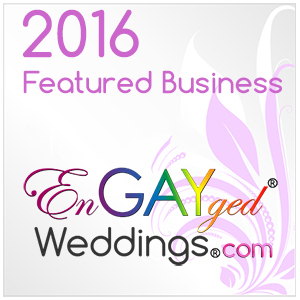 This entry was posted in Business Blessings, Celtic, Ceremony Ideas, Cultural Traditions, Handfasting, Life in General, Ritual Recipes Podcast, Weddings and tagged christening, naming ceremony, vineyard wedding. Bookmark the permalink.